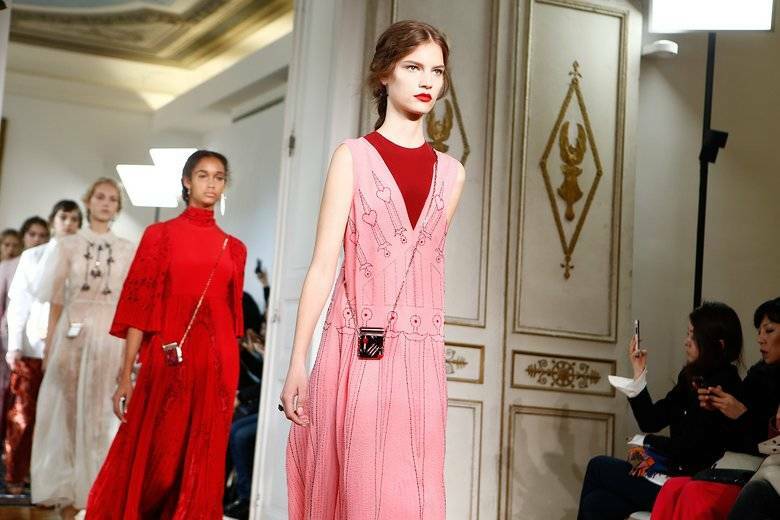 Paris, October 3 –Designer Pierpaolo Piccioli received a standing ovation following the runway show for his first solo collection as creative director for Valentino during Paris Fashion Week. For eight years he split the job with Maria Grazia Chiuri, who departed for Christian Dior last season and worked with Piccioli for close to two decades before partnering at Valentino. 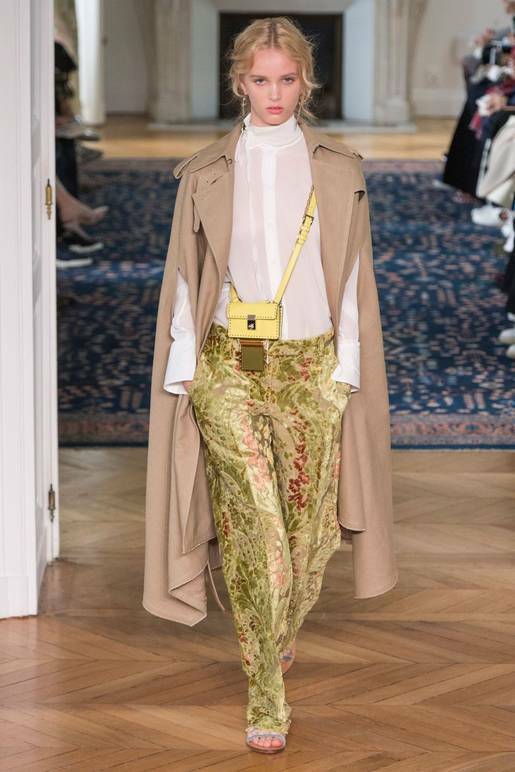 The show was held at its usual locale, the glorious Hotel Salomon de Rothschild, a neo-classical mansion characterized by its decadent frescoed ceilings and crystal chandeliers. Adding to the glam was a star-studded front row, which boasted an abundance of actresses, including Elle Fanning, Dakota Johnson, Shailene Woodley, Jessica Alba, Diane Kruger, and Valeria Bruni Tedeschi. 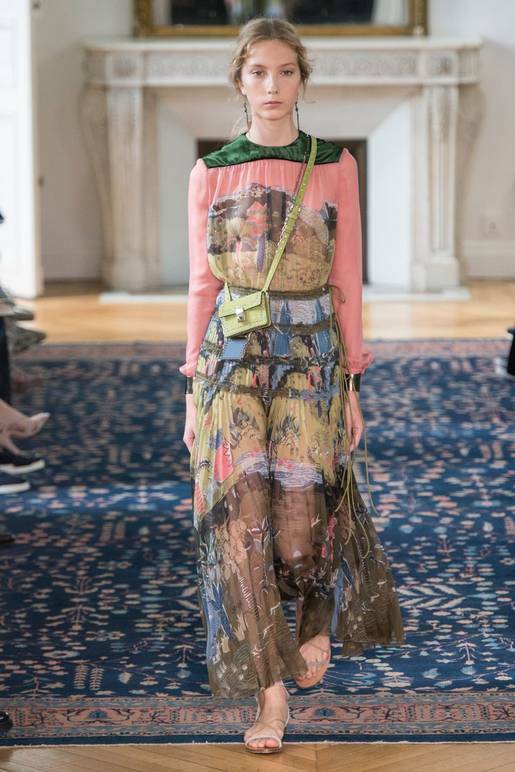 Of course, Chiuri, also occupied one of the show’s sought-after seats, along with the 76-year-old beloved and eccentric British designer, Zandra Rhodes, known as the “princess of punk,” with whom Piccioli collaborated for this year’s collection. Inspired by the work of Hieronymus Bosch, a Dutch medieval artist, and his fantastical visions of heaven and hell, Piccioli and Rhodes created prints that incorporated the brand’s romance. Reinterpretations of the artworks, including scenes from “The Garden of Earthy Delights,” primarily decorated long, flowing dresses in ethereal, whisper-weight fabrics, but also translated to embroidery suffused with natural motifs on trench cape coats. 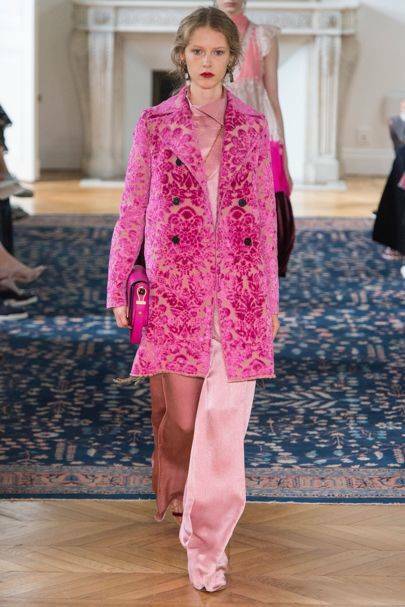 Likewise, the color palette was too reminiscent of the Renaissance, ranging from yellow ochre, acid greens, and umber browns to scarlet reds and pops of pink, showcasing a plethora of floral silk prints in bubblegum and blush.